This year’s Goodwood Festival of Speed promises some interesting debuts, including a Toyota Supra prototype and the Polestar 1. Now it turns out the festival has one more surprise up its sleeve. 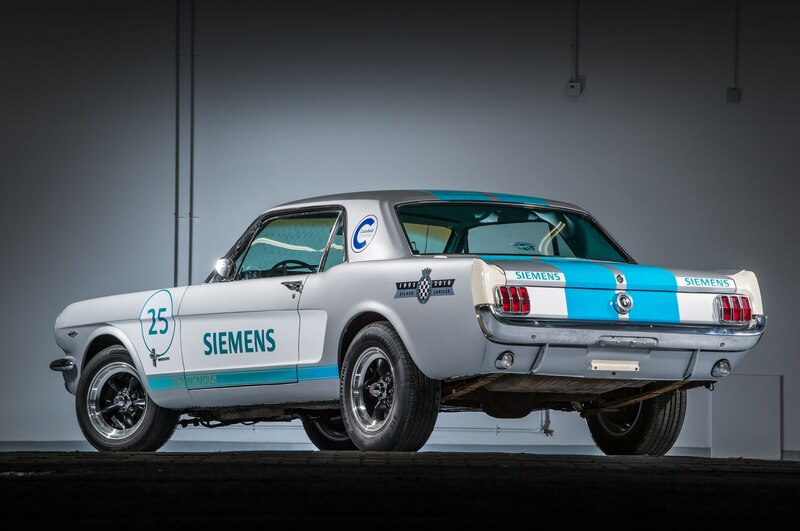 A 1965 Ford Mustang, fitted with self-driving technology, will attempt the first autonomous hillclimb at the event. The car is the result of a collaboration between engineering firm Siemens and Cranfield University’s Advanced Vehicle Engineering Centre in the U.K. The team has integrated a suite of sensors and control algorithms that will help the pony car navigate the 1.16-mile course. Location scanning technology from Bentley Systems provides a 3D scan of the track in relation to the car’s own position. On the car’s exterior, you’ll find Siemens and Cranfield badging against a silver paint job and blue stripes. The number 25 and “Silver Jubilee” badging celebrate the 25th anniversary of the Goodwood Festival of Speed. The autonomous Mustang will make its first run on July 12, the first day of the Goodwood event. It will continue to run the course twice every day until the end of the festival on July 15. With the help of cameras inside and outside of the car, footage of the run will be livestreamed for our viewing pleasure.